Khalid al-Zaidi, a lawyer for Seif al-Islam Gaddafi, told RT TV on December 27 that the son of Libyan leader Muammar Gaddafi presented the Russian leadership with an official letter asking for Russia's support in resolving the crisis in Libya. 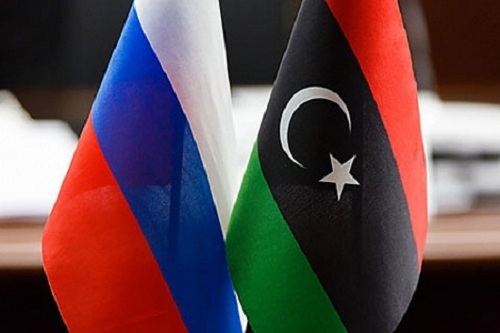 Zaidi said that Russia received a "good" response to the message of Seif al-Islam Gaddafi, which stresses that Russia is respected by the Libyan people because it did not support any anti-Libyan resolutions and did not participate in the aggression against Libya, like other countries. He noted that the decision of Saif al-Islam Gaddafi "to integrate into the Libyan political scene is final and irreversible." This decision was made after an in-depth study of the current situation that had developed over many years after the February events (a counter-revolutionary rebellion provoked by the countries of the NATO alliance in Libya in February 2011. translator comment). “As long as the United Nations creates concrete foundations for the political process, we are following these foundations and standards. We are confident that the peaceful political process will lead to positive results and that the Libyan people, after years of suffering, will achieve peace and prosperity, ”said Khalid al-Zaidi. At the moment there is no stable power and legislation in the country. The text of the Libyan Constitution has not yet been approved. President of the Libyan House of Representatives Aguila Saleh Issa in the presence of the President of the Supreme Electoral Commission, Imad Al-Sayeh, said that the need to speed up the referendum on the country's permanent constitution should be accelerated. According to the statement of the House of Representatives published on the official website, the constitutional benefits assigned to him are observed within the Council of Representatives, and the House of Representatives passed the law on the referendum on the permanent constitution of the country's Higher Election Commission on November 28. On December 6, the House of Representatives of Libya announced the holding of a referendum on the draft new permanent constitution of Libya, which is expected to be held in the country in mid-February 2019.